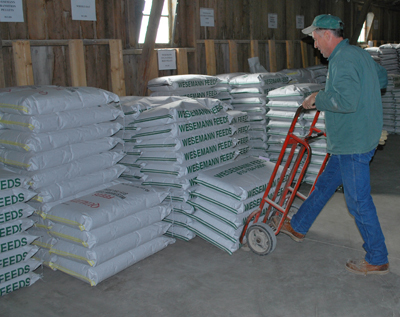 Here at Wesemann Feeds, we produce the finest premium quality bagged and bulk feeds designed to optimize health, performance, and quality of your livestock. We blend our own fresh feed designed with professional nutrionists and using only the highest quality grains and supplements as our ingredients. We also offer top of the line farming products ranging from first-rate bailing twine to custom bulk bins. © 2012 Wesemann Enterprises Inc.